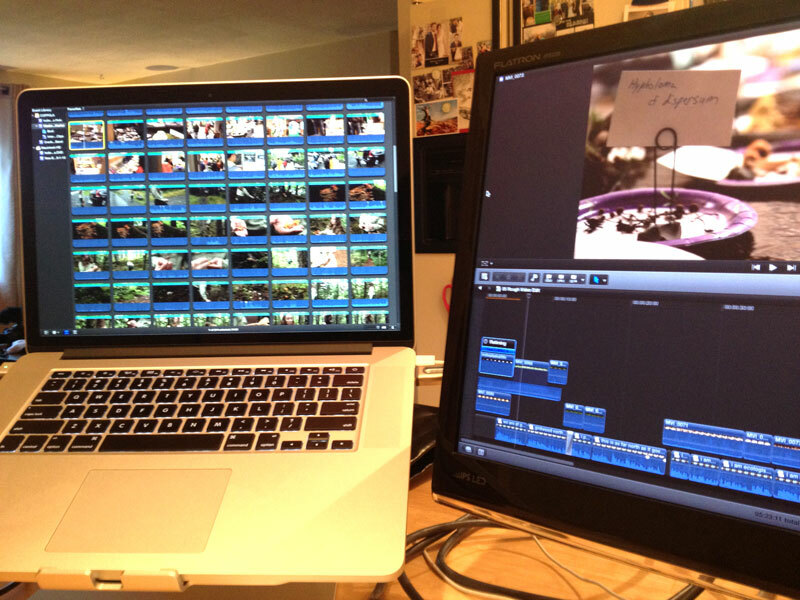 Editing on a Sunday night is not that bad when you can setup an editing workstation in the kitchen. For me, having a second monitor is a really nice way to turn laptop editing into a more visually pleasant activity. 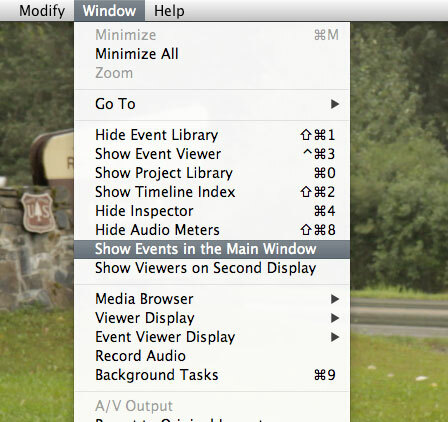 There are two options for dual monitor layouts in FCPX: you can have just viewer on your second screen (which you can interpret as either the laptop or the external monitor), or you can have just the events displayed on your second screen. I make my “second display” my macbook screen, and I have all my organized and favorite’d B-Roll clips ready to skim through and select for the project. And on the external monitor, I have a nice, large project timeline view for fine editing.